Purchased by Barossa Funerals from a Studebaker enthusiast in Pearcedale, Victoria. 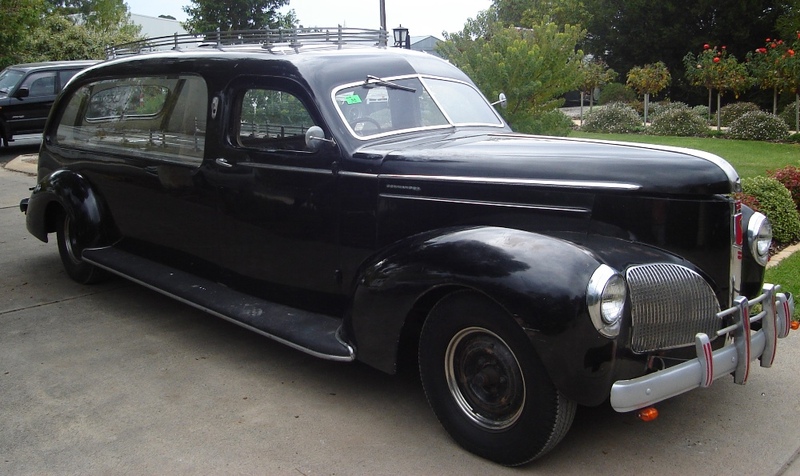 The vehicle was manufactured as a Commander sedan in South Bend, in the state of Indiana in America, and converted as a new vehicle to a hearse by GH Olding & Sons, Coach Builders, Parramatta Road, Glebe in Sydney (Serial No C 955) for JC Swords & Son Funerals. The odometer read 32,276 miles and is powered by a 226 cubic inch straight six cylinder engine. This photograph was taken in April 2006 on the day of arrival in Tanunda.